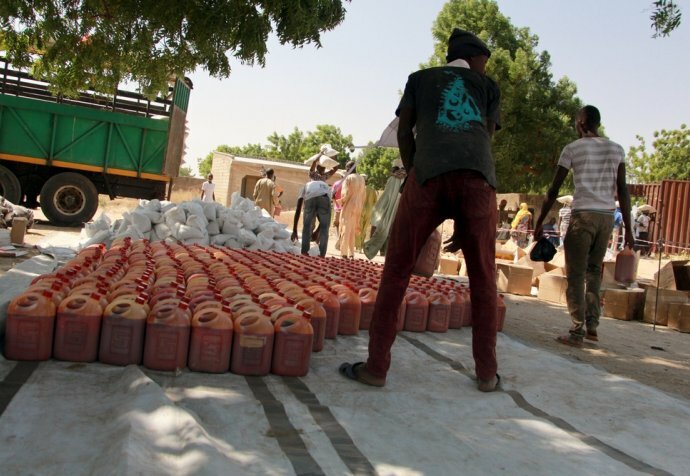 From Nigeria to Yemen, the international aid system needs to address serious limitations in responding to acute emergencies. Paul McPhun, the executive director of Médecins Sans Frontières Australia shares his thoughts. In March this year, the United Nations declared that the world was facing the largest humanitarian crisis since the UN was founded – more than 20 million people in four countries were on the brink of starvation. Famine was officially declared in South Sudan, while Yemen, Somalia and Nigeria were at risk of the same fate. While it is difficult to generalise across these four countries, what unites them is that they are all affected by brutal, complex conflicts. The nutritional crises in these four countries are not only the result of natural phenomena like drought or late rains. Rather, protracted conflicts are the root cause, as displacement makes it impossible for people to cultivate or harvest foods, while food stocks are destroyed or stolen and supply routes are cut. "The traditional humanitarian system is struggling to deliver in acute crises, and particularly in conflicts." This is a clear emergency, caused by prolonged conflict, that requires a political solution and, until then, demands a direct and immediate humanitarian response. The main challenge, however, will be access for aid organisations to affected populations in volatile and insecure areas. In northern Nigeria, South Sudan and Yemen, Médecins Sans Frontières teams are treating thousands of children suffering moderate and severe acute malnutrition, as well as other illnesses like malaria, pneumonia and diarrhoea that both exacerbate, and are exacerbated by malnutrition. But how has the situation reached this dire point? In Nigeria, for example, the conflict in Borno state that started in 2009 escalated into a major humanitarian emergency in 2015 and remains so today. There has been no political progress to arrest the conflict, only a scale up in military investment. Yet in the absence of any foreseeable resolution the aid system has been slow to recognise the crisis, and even slower to react to the nutritional catastrophe that followed in 2016. This is just one of many such examples. In many of the places we work, inadequate humanitarian response in the acute phase of an emergency is a stark reality. Currently there is a lack of assistance for people affected by conflict in Central African Republic and South Sudan, and for Burundian refugees in Tanzania. The traditional humanitarian system is struggling to deliver in acute crises, and particularly in conflicts. In the international aid system, there is ongoing debate and analysis on the role of emergency, humanitarian aid that is the core business of Médecins Sans Frontières, compared with the role of long-term development approaches of many other actors. Both approaches are crucially important, in different situations, and have very different objectives. In May 2016, the UN brought together world leaders and non-governmental organisations representatives to try and address some of the limitations in the international aid system at the first ever World Humanitarian Summit. While the ambition was admirable, it soon became obvious there were serious shortcomings. There was a priority focus on prevention, on long-term sustainable development strategies, but little appetite to address the serious limitations in today’s humanitarian and emergency response capacity. Ultimately Médecins Sans Frontières boycotted the summit when it was clear that addressing this crucial failure was not on the agenda. "Timeliness seems to have been dropped as an ambition and crucial element of effective humanitarian response"
Médecins Sans Frontières’ concerns were and, frankly, still are that the vision pushed at the Summit was not one of building bridges between humanitarianism and other sectors, but one where humanitarian action should be assimilated by them. As saving lives does little to address the underlying causes of crisis it is considered an area to be divested of. As a result we now risk having a well-meaning aid and development sector that is slow, inflexible, politicised and progressively less able to meet acute emergency needs today. The international humanitarian system falls well short of its good intentions. To be clear Médecins Sans Frontières is not anti-development nor anti-‘localisation’, another theme championed at the Summit. Most of our staff are local to the countries where we work, and we invest substantially in their training and local infrastructure. Empowering, supporting and partnering with local organisations is essential and perfectly feasible in many situations, but can be hugely challenging in situations of acute emergency and conflict. Timeliness seems to have been dropped as an ambition and crucial element of effective humanitarian response. Relying on local organisations is presented as one way to overcome this, but these organisations often lack capacity, and can be inherently compromised in their neutrality in conflict settings. 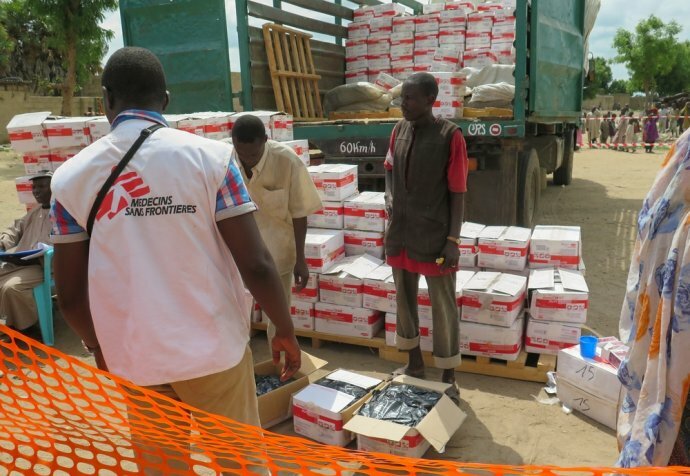 Médecins Sans Frontières has been directly witnessing significant structural deficits in the emergency aid system in terms of logistics, security management and negotiated access. We see organisations (specifically UN agencies) refusing to even temporarily adapt fee-based approaches in hospitals despite influxes of thousands of displaced people who are destitute and unable to pay for care. We see organisations rejecting offers of support and defending emergency program coverage they have yet to implement as they wait for concept approval and funding. We see organisations simply unable to shift into an emergency gear when required, something even Médecins Sans Frontières is not immune from. Working in conflicts is difficult, dangerous, messy and expensive, and we often see a sector that is becoming conservative, risk-averse and cost-obsessed, rather than needs-oriented. We repeatedly see programs established where it is most accessible and convenient, over where the needs may be greatest. There is a growing emphasis on protection of staff and assets over the humanitarian imperative to “stay and deliver”. As the widespread situation of food insecurity and malnutrition becomes more acute, and the appeal for assistance in the face of famine ever louder, we must answer to the call from our patients in places like Yemen, Nigeria and South Sudan who demand first and foremost an end to conflict, and secondly a more responsive humanitarian system that can step up and meet their needs, however challenging that is. Our issue is not with the existence of a global agenda for sustainable development aimed at ending need. It is with the absence of an agenda to address the current failings of the emergency humanitarian system.